A properly functioning thyroid gland makes two thyroid hormones, T3 (Triiodothyronine) and T4 (Thyroxine) in a certain ratio. The most important thyroid hormone – the one that controls your metabolism, energy level, mood, and the function of almost every cell in your body is T3. Synthroid, L-Thyroxin and Levothroid are medications that only contain T4. T4 is considered a storage form of thyroid hormone that has to be converted into the active hormone T3 – the one that actually binds to cellular receptors and does its many important jobs. The predominant theory has been that if you just check a TSH (Thyroid Stimulating Hormone), it will tell you if you have enough T3 being made out of your T4, because T3 affects the level of TSH. TSH is a signal from the brain to the thyroid gland saying “Make more thyroid hormone!” So TSH goes up when thyroid hormones are low, and goes down when there is enough thyroid hormone in the body to function properly. It is an inverse relationship. When TSH is high, the brain is screaming at the thyroid gland to make more, or for the patient to take more replacement hormone. The problem is that many “normal” reference ranges for TSH go up to about 5, but optimal TSH is less than 1. By the time TSH is above 2-3, you are essentially hypothyroid, but most doctors won’t treat you. Another problem comes from the fact that sometimes the TSH is in the normal range, even when free T3 is low, or at least sub-optimal. Some people are poor “converters,” not making enough T3 from their T4 – especially when they are on a thyroid medication that only contains T4. T4 does not suppress TSH as much as T3, so thyroid products that contain T3 will usually result in a lower TSH than T4-alone products. To further complicate matters, both T3 and T4 float around in the blood partially bound to a protein that inactivates them. Only the “free” (unbound) fraction of the hormone is available to bind to the cellular receptors and function. So total T3 and T4 levels don’t tell you if you have enough free hormone to do the job. 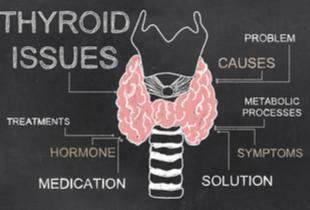 Many doctors don’t check for the free fractions when they test thyroid hormones. Another problem can occur from something called reverse T3. It is the opposite molecule from the real T3, and it can block the receptor so that the real T3 can’t bind to it. So some people have a normal Free T3, but still have hypothyroid symptoms because their high reverse T3 is blocking it. 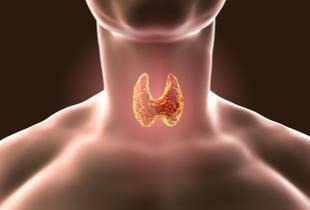 Some patients have thyroid problems from autoantibodies to the thyroid gland, called Hashimoto’s Thyroiditis. This is an autoimmune disease, and it can cause the thyroid hormone levels to fluctuate and make the patient feel poorly. If someone has this condition, it is important to find the underlying cause of the autoimmune disorder, because having one autoimmune condition makes you at a higher risk to get another autoimmune disorder in the future – and they are all bad (Lupus, Multiple Sclerosis, Rheumatoid Arthritis, Type 1 Diabetes, etc). It is important to test to see if you have gluten intolerance, or heavy metal toxicity, or an underlying infection, or leaky gut, since these are all things that predispose to autoimmune disorders. Some patients may have a problem called thyroid resistance. This is like the condition insulin resistance, meaning that there is plenty of hormone around, but the receptors are partially immune to it, and are not responding properly to it. So patients may have perfectly normal levels of thyroid hormone, but still have every symptom in the book of low thyroid, including constipation, weight gain, dry skin, hair loss, fatigue, weak immunity, depression, and many more. So, a full thyroid work-up should include a Free T3, Free T4, TSH, reverse T3, and the autoantibodies test. 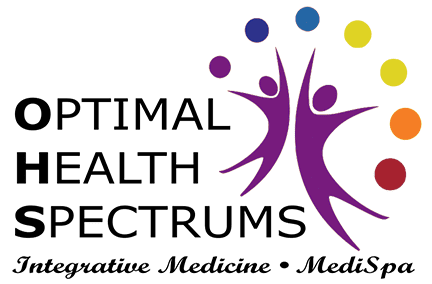 A patient will not feel optimally well until they have an optimal level of Free T3. Of all the thyroid tests, the Free T3 is the most important one, and yet most doctors never test for this. Many only do a TSH, or might also include a T4. We always perform the full thyroid panel, and often find abnormalities that other doctors miss. However, in the end it matters more how you feel than what the blood test says. When replacing thyroid hormone, it is important to take a natural, bioidentical thyroid hormone, such as Naturethroid or Armour. This contains T3 and T4 in the proper ratio to help us feel our best. Natural thyroid hormone is best taken twice per day on an empty stomach since T3 is a short-acting hormone, unlike the synthetic T4-only products, that can be taken only once per day. We only prescribe natural thyroid, and our patients report feeling better than they have in years. Studies have shown that most patients feel better on natural thyroid (T3 plus T4) than on T4-only products, so why would you take anything else?